Aberrant activation of Wnt/β-catenin signaling plays a key role in the onset and development of hepatocellular carcinomas (HCCs), with about half of them acquiring mutations in either CTNNB1 or AXIN1. The serine/threonine kinase receptor associated protein (STRAP), a scaffold protein, was recently shown to facilitate the aberrant activation of Wnt/β-catenin signaling in colorectal cancers. However, the function of STRAP in HCC remains completely unknown. Here increased levels of STRAP were observed in human and mouse HCCs. RNA sequencing (RNA-seq) of STRAP knockout clones generated by gene editing of Huh6 and Huh7 HCC cells, revealed a significant reduction in expression of various metabolic and cell cycle related transcripts, in line with their general slower growth observed during culture. Importantly, Wnt/β-catenin signaling was impaired in all STRAP knockout/down cell lines tested, regardless of the underlying CTNNB1 or AXIN1 mutation. In accordance with β-catenin's role in (cancer) stem cell maintenance, the expression of various stem cell markers, such as AXIN2 and LGR5, were reduced and concomitantly differentiation-associated genes were increased. Together, these results show that the increased STRAP protein levels observed in HCC, provide growth advantage among others by enhancing Wnt/β-catenin signaling. These observations also identify STRAP as a new player in regulating β-catenin signaling in hepatocellular cancers. Mol Cancer Res. 2019 Feb;17(2):521-531. doi: 10.1158/1541-7786.MCR-18-0054. Molecular heterogeneity and early metastatic clone selection in testicular germ cell cancer development. BACKGROUND: Testicular germ cell cancer (TGCC), being the most frequent malignancy in young Caucasian males, is initiated from an embryonic germ cell. This study determines intratumour heterogeneity to unravel tumour progression from initiation until metastasis. METHODS: In total, 42 purified samples of four treatment-resistant nonseminomatous (NS) TGCC were investigated, including the precursor germ cell neoplasia in situ (GCNIS) and metastatic specimens, using whole-genome and targeted sequencing. Their evolution was reconstructed. RESULTS: Intratumour molecular heterogeneity did not correspond to the supposed primary tumour histological evolution. Metastases after systemic treatment could be derived from cancer stem cells not identified in the primary cancer. GCNIS mostly lacked the molecular marks of the primary NS and comprised dominant clones that failed to progress. A BRCA-like mutational signature was observed without evidence for direct involvement of BRCA1 and BRCA2 genes. CONCLUSIONS: Our data strongly support the hypothesis that NS is initiated by whole-genome duplication, followed by chromosome copy number alterations in the cancer stem cell population, and accumulation of low numbers of somatic mutations, even in therapy-resistant cases. These observations of heterogeneity at all stages of tumourigenesis should be considered when treating patients with GCNIS-only disease, or with clinically overt NS. Dorssers LCJ, Gillis AJM, Stoop H, van Marion R, Nieboer MM, van Riet J, van de Werken HJG, Oosterhuis JW, de Ridder J, Looijenga LHJ. Robbrecht, Debbie G., Atrafi, Florence, van Riet, Job, Eskens, Ferry A.L.M., van Diest, Paul J., Cuppen, Edwin P.J.G.,van Leenders, Geert J.L.H, van de Werken, Harmen J.G., Lolkema, Martijn P.
Elife. 2019 Jan 23;8. pii: e40364. doi: 10.7554/eLife.40364. Cell Rep. 2018 Aug 28;24(9):2312-2328.e7. doi: 10.1016/j.celrep.2018.07.085. PURPOSE: Tumors of germline BRCA1/2 mutated carriers show homologous recombination (HR) deficiency (HRD), resulting in impaired DNA double strand break (DSB) repair and high sensitivity to Poly-(ADP-Ribose)-Polymerase (PARP) inhibitors. Although this therapy is expected to be effective beyond germline BRCA1/2 mutated carriers, a robust validated test to detect HRD tumors is lacking. In the present study we therefore evaluated a functional HR assay exploiting the formation of RAD51 foci in proliferating cells after ex vivo irradiation of fresh breast cancers (BrC) tissue: the RECAP test. METHODS: Fresh samples of 170 primary BrC were analyzed using the RECAP test. The molecular explanation for the HRD phenotype was investigated by exploring BRCA deficiencies, mutational signatures, tumor infiltrating lymphocytes (TILs) and microsatellite instability (MSI). RESULTS: RECAP was completed successfully in 148 out of 170 samples (87%). 24 tumors showed HRD (16%), while 6 tumors were HR intermediate (HRi) (4%). HRD was explained by BRCA deficiencies (mutations, promoter hypermethylation, deletions) in 16 cases, whereas 7 HRD tumors were non-BRCA related. HRD tumors showed an increased incidence of high TIL counts (p=0.023) compared to HR proficient (HRP) tumors and MSI was more frequently observed in the HRD group (2/20, 10%) than expected in BrC (1%) (p=0.017). CONCLUSION: RECAP is a robust functional HR assay detecting both BRCA1/2 deficient and BRCA1/2 proficient HRD tumors. Functional assessment of HR in a pseudo-diagnostic setting is achievable and produces robust and interpretable results. Meijer TG, Verkaik NS, Sieuwerts AM, van Riet J, Naipal KAT, van Deurzen CHM, den Bakker M, Sleddens HFBM, Dubbink HJ, den Toom TD, Dinjens WNM, Lips EH, Nederlof PM, Smid M, van de Werken HJG, Kanaar R, Martens JWM, Jager A, van Gent DC. Clin Cancer Res. 2018 Aug 23. pii: clincanres.0063.2018. doi: 10.1158/1078-0432.CCR-18-0063. Consensus molecular subtypes classification of colorectal adenomas. Consensus molecular subtyping (CMS) is an RNA expression-based classification system for colorectal cancer (CRC). Genomic alterations accumulate during CRC pathogenesis, including the premalignant adenoma stage, leading to changes in RNA-expression. Only a minority of adenomas progress to malignancies, a transition associated with specific DNA copy number aberrations or microsatellite instability (MSI). 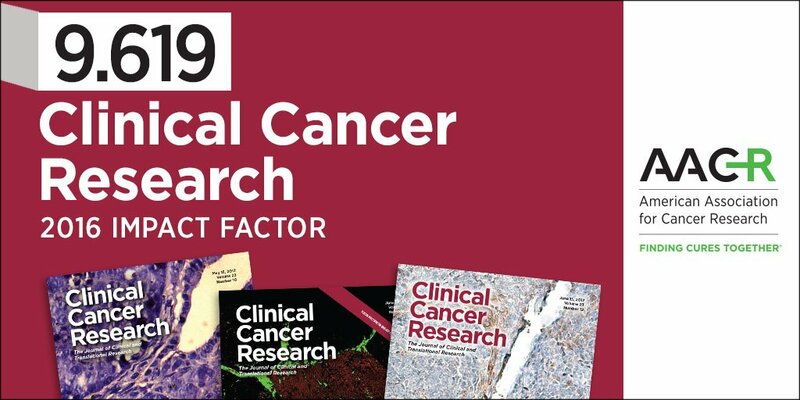 We aimed to investigate whether colorectal adenomas can already be stratified into CMS classes, and whether specific CMS classes are related to presence of specific DNA copy number aberrations associated with progression to malignancy. RNA sequencing was performed on 62 adenomas and 59 CRCs. MSI status was determined by PCR-based methodology. DNA copy number was assessed by low-coverage DNA sequencing (n = 30) or array-comparative genomic hybridization (n = 32). Adenomas were classified into CMS subtypes together with CRCs from the study cohort and from The Cancer Genome Atlas (n = 556), using the established CMS classifier. As a result, 54 out of 62 (87%) adenomas were classified according to the CMS. The CMS3 'metabolic subtype', least common among CRCs, was most prevalent among the adenomas (n = 45; 73%). One of the two adenomas exhibiting MSI was classified as CMS1 (2%), the 'MSI immune' subtype. Eight adenomas (13%) were classified as the 'canonical' CMS2 type. No adenomas were classified as the 'mesenchymal' CMS4 subtype, consistent with the fact that adenomas lack invasion-associated stroma. The distribution of the CMS classes among adenomas was confirmed in an independent series. The CMS3 class was enriched with adenomas at low risk of progressing to CRC, while relatively more high-risk adenomas were observed in the CMS2 subtype. We conclude that adenomas can be stratified into the CMS classes. Considering that CMS1 and CMS2 expression signatures may mark adenomas at increased risk of progression, the distribution of the CMS classes among adenomas is consistent with the proportion of adenomas expected to progress to CRC. This article is protected by copyright. All rights reserved. J Pathol. 2018 Jul 3. doi: 10.1002/path.5129. Current normalization methods for RNA-sequencing data allow either for intersample comparison to identify differentially expressed (DE) genes or for intrasample comparison for the discovery and validation of gene signatures. Most studies on optimization of normalization methods typically use simulated data to validate methodologies. We describe a new method, GeTMM, which allows for both inter- and intrasample analyses with the same normalized data set. We used actual (i.e. not simulated) RNA-seq data from 263 colon cancers (no biological replicates) and used the same read count data to compare GeTMM with the most commonly used normalization methods (i.e. TMM (used by edgeR), RLE (used by DESeq2) and TPM) with respect to distributions, effect of RNA quality, subtype-classification, recurrence score, recall of DE genes and correlation to RT-qPCR data. BMC Bioinformatics. 2018 Jun 22;19(1):236. doi: 10.1186/s12859-018-2246-7. Fractionated Radiation of Primary Prostate Basal Cells Results in Downplay of Interferon Stem Cell and Cell Cycle Checkpoint Signatures. Eur Urol. 2018 Jun 15. pii: S0302-2838(18)30427-5. doi: 10.1016/j.eururo.2018.06.002. Chromosome conformation capture (3C) and its derivatives (e.g., 4C, 5C and Hi-C) are used to analyze the 3D organization of genomes. We recently developed targeted chromatin capture (T2C), an inexpensive method for studying the 3D organization of genomes, interactomes and structural changes associated with gene regulation, the cell cycle, and cell survival and development. 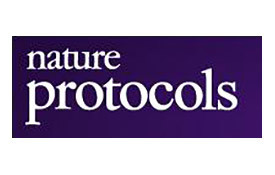 Here, we present the protocol for T2C based on capture, describing all experimental steps and bio-informatic tools in full detail. T2C offers high resolution, a large dynamic interaction frequency range and a high signal-to-noise ratio. Its resolution is determined by the resulting fragment size of the chosen restriction enzyme, which can lead to sub-kilobase-pair resolution. T2C's high coverage allows the identification of the interactome of each individual DNA fragment, which makes binning of reads (often used in other methods) basically unnecessary. Notably, T2C requires low sequencing efforts. T2C also allows multiplexing of samples for the direct comparison of multiple samples. It can be used to study topologically associating domains (TADs), determining their position, shape, boundaries, and intra- and inter-domain interactions, as well as the composition of aggregated loops, interactions between nucleosomes, individual transcription factor binding sites, and promoters and enhancers. T2C can be performed by any investigator with basic skills in molecular biology techniques in ∼7-8 d. Data analysis requires basic expertise in bioinformatics and in Linux and Python environments. Nat Protoc. 2018 Mar;13(3):459-477. doi: 10.1038/nprot.2017.132. The Nucleosome Remodeling and Deacetylase (NURD) complex is a key regulator of cell differentiation that has also been implicated in tumorigenesis. Loss of the NURD subunit Deleted in Oral Cancer 1 (DOC1) is associated with human oral squamous cell carcinomas (OSCCs). Here, we show that restoration of DOC1 expression in OSCC cells leads to a reversal of epithelial-mesenchymal transition (EMT). This is caused by the DOC1-dependent targeting of NURD to repress key transcriptional regulators of EMT. NURD recruitment drives extensive epigenetic reprogramming, including eviction of the SWI/SNF remodeler, formation of inaccessible chromatin, H3K27 deacetylation, and binding of PRC2 and KDM1A, followed by H3K27 methylation and H3K4 demethylation. Strikingly, depletion of SWI/SNF mimics the effects of DOC1 re-expression. Our results suggest that SWI/SNF and NURD function antagonistically to control chromatin state and transcription. We propose that disturbance of this dynamic equilibrium may lead to defects in gene expression that promote oncogenesis. Cell Rep. 2017 Jul 5;20(1):61-75. doi: 10.1016/j.celrep.2017.06.020. The spatial arrangement of chromatin is linked to the regulation of nuclear processes. One striking aspect of nuclear organization is the spatial segregation of heterochromatic and euchromatic domains. The mechanisms of this chromatin segregation are still poorly understood. In this work we investigated the link between the primary genomic sequence and chromatin domains. We analyzed the spatial intranuclear arrangement of a human artificial chromosome (HAC) in a xenospecific mouse background in comparison to an orthologous region of native mouse chromosome. The two orthologous regions include segments that can be assigned to three major chromatin classes according to their gene abundance and repeat repertoire: (i) gene-rich and SINE-rich euchromatin, (ii) gene-poor and LINE/LTR-rich heterochromatin and (iii) gene-depleted and satellite DNA-containing constitutive heterochromatin. We show using FISH and 4C-seq technologies that chromatin segments ranging from 0.6 to 3 Mb cluster with segments of the same chromatin class. As a consequence, the chromatin segments acquire corresponding positions in the nucleus irrespectively of their chromosomal context thereby strongly suggesting that this is their autonomous property. Interactions with the nuclear lamina, although largely retained in the HAC, reveal less autonomy. Taken together, our results suggest that building of a functional nucleus is largely a self-organizing process based on mutual recognition of chromosome segments belonging to the major chromatin classes. 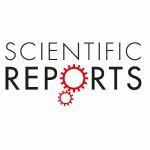 The use of blood-circulating cell-free DNA (cfDNA) as 'liquid-biopsy' is explored worldwide, with hopes for its potential in providing prognostic or predictive information in cancer treatment. In exploring cfDNA, valuable repositories are biobanks containing material collected over time, however these retrospective cohorts have restrictive resources. In this study, we aimed to detect tumor-specific mutations in only minute amounts of serum-derived cfDNA by using a targeted next generation sequencing (NGS) approach. In a retrospective cohort of ten metastatic breast cancer patients, we profiled DNA from primary tumor tissue (frozen), tumor-adjacent normal tissue (formalin-fixed paraffin embedded), and three consecutive serum samples (frozen). 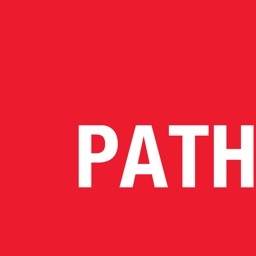 Our presented workflow includes comparisons with matched normal DNA or in silico reference DNA to discriminate germline from somatic variants, validation of variants through the detection in at least two DNA samples of an individual, and the use of public databases on variants. By our workflow, we were able to detect a total of four variants traceable as circulating tumor DNA (ctDNA) in the sera of three of the ten patients. Sci Rep. 2017 May 18;7(1):2136. doi: 10.1038/s41598-017-02388-7. Ophthalmology. 2017 Apr;124(4):573-575. doi: 10.1016/j.ophtha.2016.10.039. Epub 2016 Dec 1. 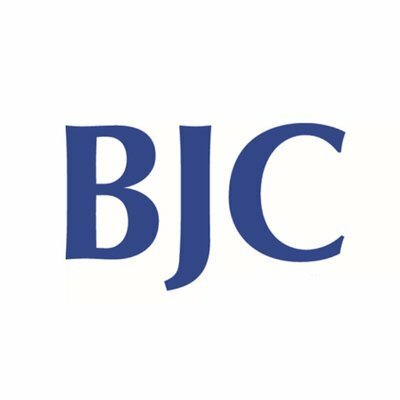 BACKGROUND: Neoadjuvant chemotherapy (NAC) for muscle-invasive bladder cancer (MIBC) provides a small but significant survival benefit. Nevertheless, controversies on applying NAC remain because the limited benefit must be weight against chemotherapy-related toxicity and the delay of definitive local treatment. Therefore, there is a clear clinical need for tools to guide treatment decisions on NAC in MIBC. Here, we aimed to validate a previously reported 20-gene expression signature that predicted lymph node-positive disease at radical cystectomy in clinically node-negative MIBC patients, which would be a justification for upfront chemotherapy. 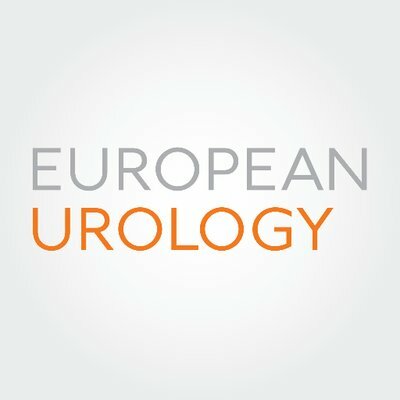 METHODS: We studied diagnostic transurethral resection of bladder tumors (dTURBT) of 150 MIBC patients (urothelial carcinoma) who were subsequently treated by radical cystectomy and pelvic lymph node dissection. RNA was isolated and the expression level of the 20 genes was determined on a qRT-PCR platform. Normalized Ct values were used to calculate a risk score to predict the presence of node-positive disease. The Cancer Genome Atlas (TCGA) RNA expression data was analyzed to subsequently validate the results. RESULTS: In a univariate regression analysis, none of the 20 genes significantly correlated with node-positive disease. The area under the curve of the risk score calculated by the 20-gene expression signature was 0.54 (95% Confidence Interval: 0.44-0.65) versus 0.67 for the model published by Smith et al. Node-negative patients had a significantly lower tumor grade at TURBT (p = 0.03), a lower pT stage (p<0.01) and less frequent lymphovascular invasion (13% versus 38%, p<0.01) at radical cystectomy than node-positive patients. In addition, in the TCGA data, none of the 20 genes was differentially expressed in node-negative versus node-positive patients. CONCLUSIONS: We conclude that a 20-gene expression signature developed for nodal staging of MIBC at radical cystectomy could not be validated on a qRT-PCR platform in a large cohort of dTURBT specimens. PLoS One. 2017 Mar 20;12(3):e0174039. doi: 10.1371/journal.pone.0174039. eCollection 2017. Decoding the DNA Methylome of Mantle Cell Lymphoma in the Light of the Entire B Cell Lineage. We analyzed the in silico purified DNA methylation signatures of 82 mantle cell lymphomas (MCL) in comparison with cell subpopulations spanning the entire B cell lineage. We identified two MCL subgroups, respectively carrying epigenetic imprints of germinal-center-inexperienced and germinal-center-experienced B cells, and we found that DNA methylation profiles during lymphomagenesis are largely influenced by the methylation dynamics in normal B cells. An integrative epigenomic approach revealed 10,504 differentially methylated regions in regulatory elements marked by H3K27ac in MCL primary cases, including a distant enhancer showing de novo looping to the MCL oncogene SOX11. Finally, we observed that the magnitude of DNA methylation changes per case is highly variable and serves as an independent prognostic factor for MCL outcome. Cancer Cell. 2016 Nov 14;30(5):806-821. doi: 10.1016/j.ccell.2016.09.014. An autonomous CEBPA enhancer specific for myeloid-lineage priming and neutrophilic differentiation. Neutrophilic differentiation is dependent on CCAAT enhancer-binding protein α (C/EBPα), a transcription factor expressed in multiple organs including the bone marrow. Using functional genomic technologies in combination with clustered regularly-interspaced short palindromic repeat (CRISPR)/CRISPR-associated protein 9 genome editing and in vivo mouse modeling, we show that CEBPA is located in a 170-kb topological-associated domain that contains 14 potential enhancers. Of these, 1 enhancer located +42 kb from CEBPA is active and engages with the CEBPA promoter in myeloid cells only. Germ line deletion of the homologous enhancer in mice in vivo reduces CEBPA levels exclusively in hematopoietic stem cells (HSCs) and myeloid-primed progenitor cells leading to severe defects in the granulocytic lineage, without affecting any other CEBPA-expressing organ studied. The enhancer-deleted progenitor cells lose their myeloid transcription program and are blocked in differentiation. Deletion of the enhancer also causes loss of HSC maintenance. We conclude that a single +42-kb enhancer is essential for CEBPA expression in myeloid cells only. Roberto Avellino, Marije Havermans, Claudia Erpelinck, Mathijs A. Sanders, Remco Hoogenboezem, Harmen J. G. van de Werken, Elwin Rombouts, Kirsten van Lom, Paulina M.H. van Strien1, Claudia Gebhard, Michael Rehli, John Pimanda, Dominik Beck, Stefan Erkeland, Thijs Kuiken, Hans de Looper, Stefan Gröschel, Ivo Touw, Eric Bindels, and Ruud Delwel. Blood. 2016 Jun 16;127(24):2991-3003. doi: 10.1182/blood-2016-01-695759. The paralogous genes Nppa and Nppb are organized in an evolutionarily conserved cluster and provide a valuable model for studying co-regulation and regulatory landscape organization during heart development and disease. Here, we analyzed the chromatin conformation, epigenetic status and enhancer potential of sequences of the Nppa-Nppb cluster in vivo Our data indicate that the regulatory landscape of the cluster is present within a 60-kb domain centered around Nppb Both promoters and several potential regulatory elements interact with each other in a similar manner in different tissues and developmental stages. The distribution of H3K27ac and the association of Pol2 across the locus changed during cardiac hypertrophy, revealing their potential involvement in stress-mediated gene regulation. Functional analysis of double-reporter transgenic mice revealed that Nppa and Nppb share developmental, but not stress-response, enhancers, responsible for their co-regulation. Moreover, the Nppb promoter was required, but not sufficient, for hypertrophy-induced Nppa expression. In summary, the developmental regulation and stress response of the Nppa-Nppb cluster involve the concerted action of multiple enhancers and epigenetic changes distributed across a structurally rigid regulatory domain. Cell-free DNA mutations as biomarkers in breast cancer patients receiving tamoxifen. The aim was to identify mutations in serum cell-free DNA (cfDNA) associated with disease progression on tamoxifen treatment in metastatic breast cancer (MBC). Sera available at start of therapy, during therapy and at disease progression were selected from 10 estrogen receptor (ER)-positive breast cancer patients. DNA from primary tumor and normal tissue and cfDNA from minute amounts of sera were analyzed by targeted next generation sequencing (NGS) of 45 genes (1,242 exons). 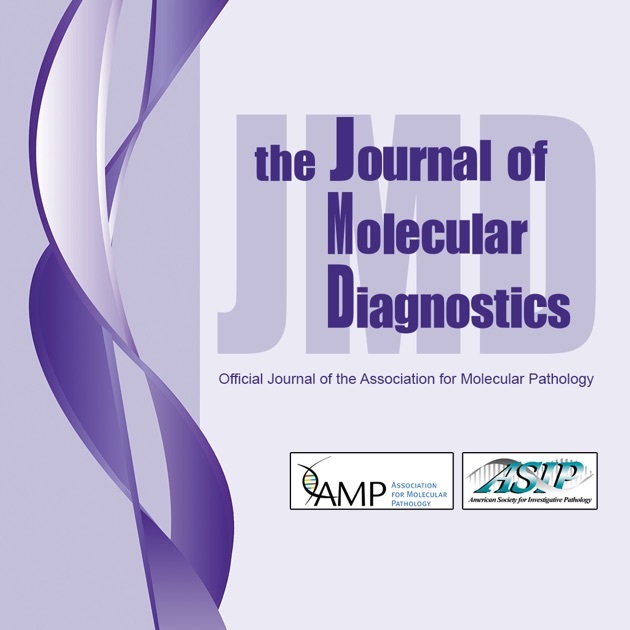 At disease progression, stop-gain single nucleotide variants (SNVs) for CREBBP (1 patient) and SMAD4 (1 patient) and non-synonymous SNVs for AKAP9 (1 patient), PIK3CA (2 patients) and TP53 (2 patients) were found. Mutations in CREBBP and SMAD4 have only been occasionally reported in breast cancer. All mutations, except for AKAP9, were also present in the primary tumor but not detected in all blood specimens preceding progression. More sensitive detection by deeper re-sequencing and digital PCR confirmed the occurrence of circulating tumor DNA (ctDNA) and these biomarkers in blood specimens. Oncotarget. 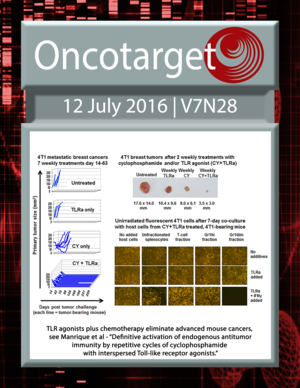 2016 July 12;7(28): 43412-43418. doi: 10.18632/oncotarget.9727. Oncogene-induced senescence (OIS) can occur in response to oncogenic insults and is considered an important tumour suppressor mechanism. Here we identify the lncRNA MIR31HG as upregulated in OIS and find that knockdown of MIR31HG promotes a strong p16INK4A-dependent senescence phenotype. Under normal conditions, MIR31HG is found in both nucleus and cytoplasm, but following B-RAF expression MIR31HG is located mainly in the cytoplasm. We show that MIR31HG interacts with both INK4A and MIR31HG genomic regions and with Polycomb group (PcG) proteins, and that MIR31HG is required for PcG-mediated repression of the INK4A locus. We further identify a functional enhancer, located between MIR31HG and INK4A, which becomes activated during OIS and interacts with the MIR31HG promoter. Data from melanoma patients show a negative correlation between MIR31HG and p16INK4A expression levels, suggesting a role for this transcript in cancer. Hence, our data provide a new lncRNA-mediated regulatory mechanism for the tumour suppressor p16INK4A. Nat Commun. 2015 Apr 24;6:6967. doi: 10.1038/ncomms7967.